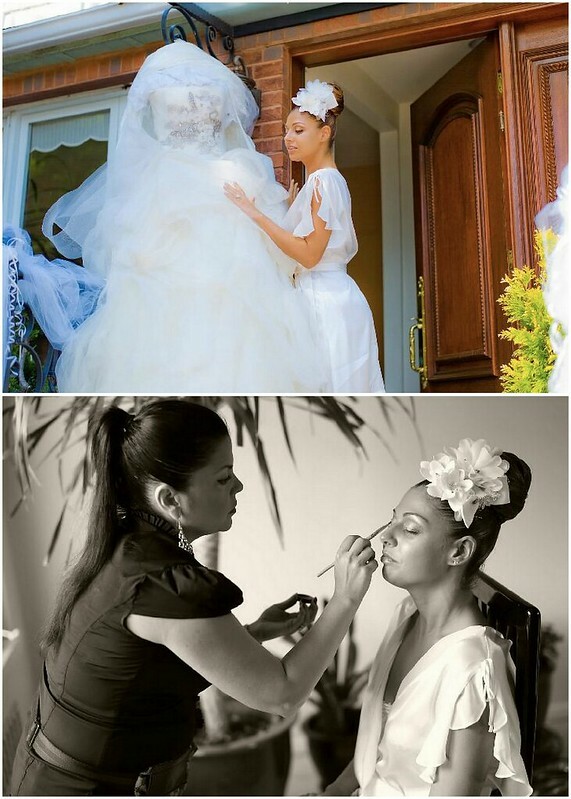 As Bridal Styles bride Gail can tell you, sometimes what you are looking for can be right beside you! “It’s interesting how you could know a person for so long on a completely different level and then they’re completely different than you thought. Paul and I have known each other for many years through high school and college because he is best friends with one of my closest guy friends, Gary. Gary is probably the reason that we got together although he definitely didn’t try to set us up. How Paul proposed knocked Gail’s socks off, and, believe us, she was wearing lots! 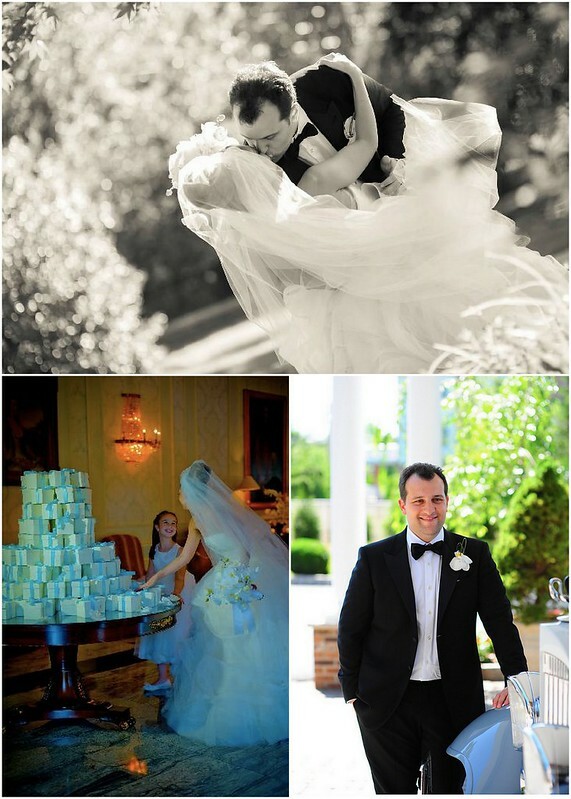 The two soon set a June wedding date, and, together with their moms and Gail’s aunt, began to plan their wedding at The Rockleigh Country Club. 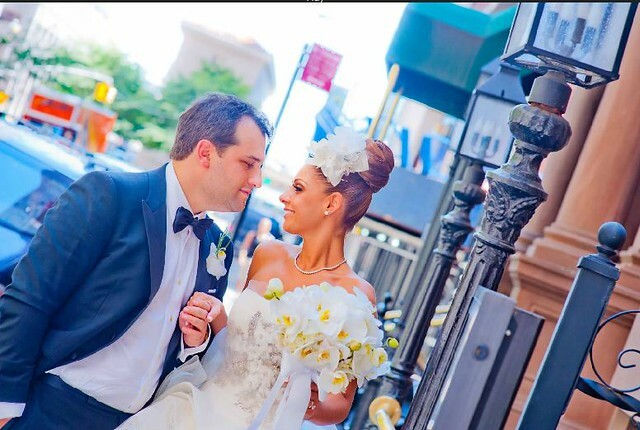 “Every detail was made especially for us by our wonderful florist Irina from Sunshine Flower Shoppe, who was a pleasure to work with. She never said that anything was impossible. We came to her with many decorative ideas and she truly made the vision come to life. The one of a kind seating card tree was created to perfection with ribbons, flowers, and crystals for the grand entrance. 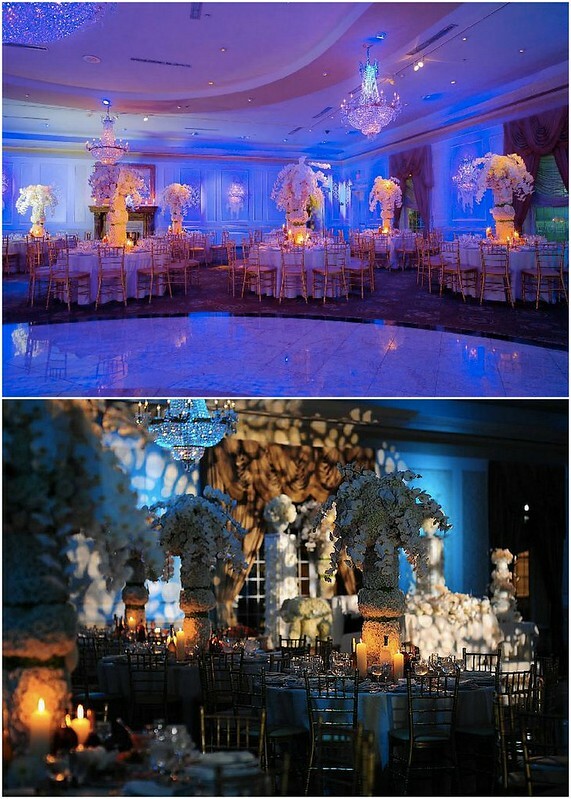 The centerpieces were enormous all made of flowers from top to bottom; even the vase holding the top was made of roses! 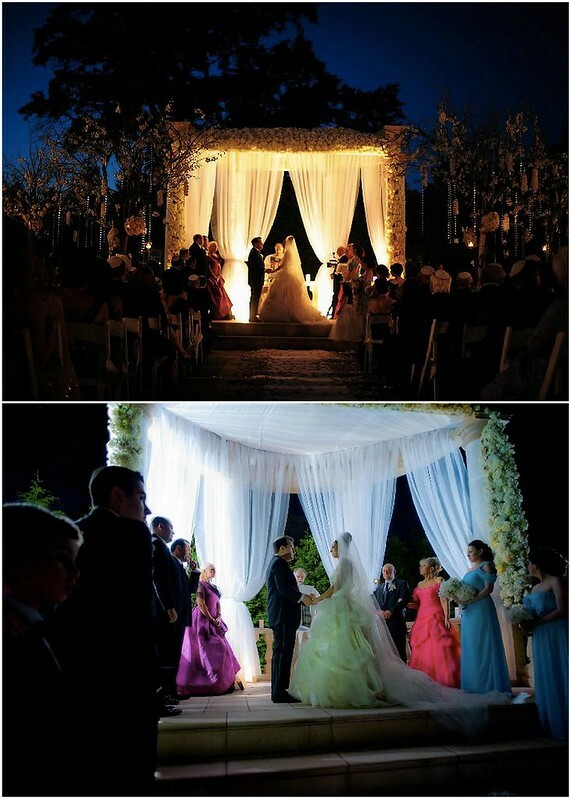 The trees at the ceremony were all created by hand with flowers, crystals, and candles and the actual chuppah that was created by her and her talented team was almost 17 feet tall! Every single detail was thought out including how to decorate each hallway. I couldn’t have picked a better decorative team. At last, June 23 arrived, and Gail and Paul said ‘I do’! “It’s funny because since we got engaged, I kept thinking ‘wow this is the best day of my life’. The engagement.. ‘wow! Best day!’ then came the bridal shower and I thought, ‘wow! Best day!’ and then the wedding day came and I was truly blown away. We have waited for that day for over a year and stressed over every detail and now it was here. “After my mom and aunt helped me put on my dress and the rest of the bridal party arrived, I came down the stairs at my parents’ house and finally saw my groom with a beautiful bouquet of flowers. “Our Rabbi had asked us to write small pieces about one another and used it while speaking under the chuppah. It was nice to hear what we had to say about each other. Also, our wonderful bridal party made the day so incredible. They helped us out all day long and truly enjoyed themselves at the wedding. We felt their love and support the whole day through! “In its own way, each and every part of the day was memorable: from my mom and aunt helping me put on my dress, the walk down the aisle, and the dance with my dad (which I think we handled well, I tried to contain the tears!) but the most memorable part of the wedding for both of us was standing under that tall, unimaginably beautiful chuppah together. We loved standing there with our parents and bridal party and actually getting married! It all became a reality at that point and the feeling was intense. We couldn’t help but only looking at each other and feeling love from each other and the people around us. Now that Gail and Paul are happily married newlyweds, they have this advice to share for all you soon-to-be-weds! 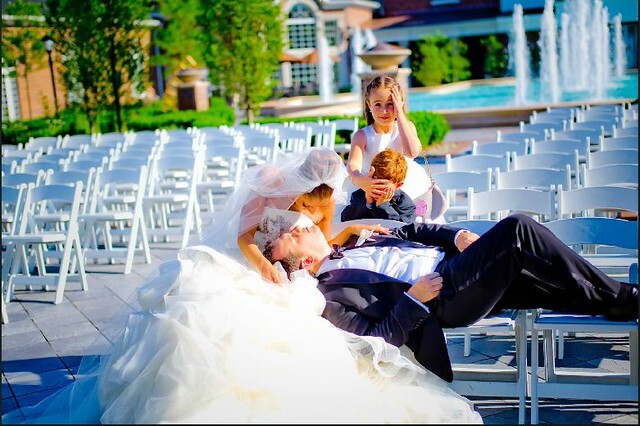 “My husband’s advice is to enjoy the moment and the day because it goes by so quickly. 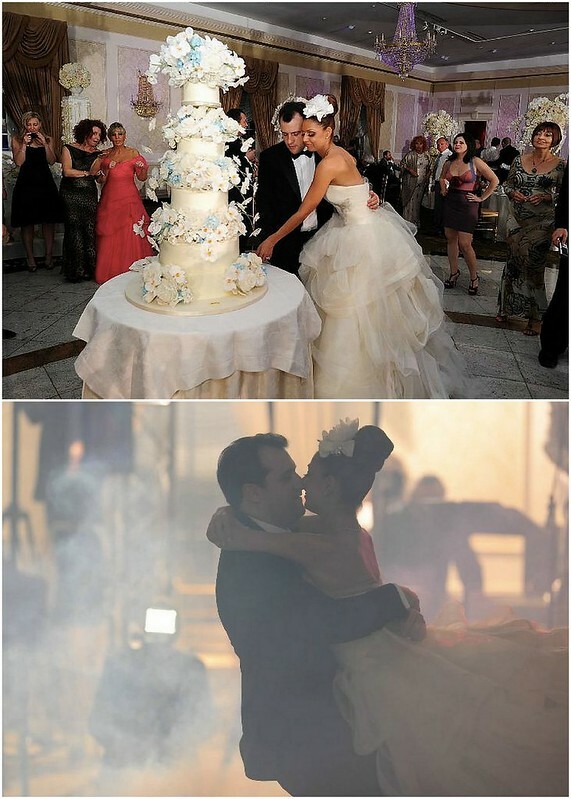 He said to party hard, and look at your bride as much as could which automatically puts a smile on your face. He said he was skeptical with all the craziness of the planning, but that day he realized that it was really worth it. Thank you for sharing your day with us, Gail and Paul! Best wishes! 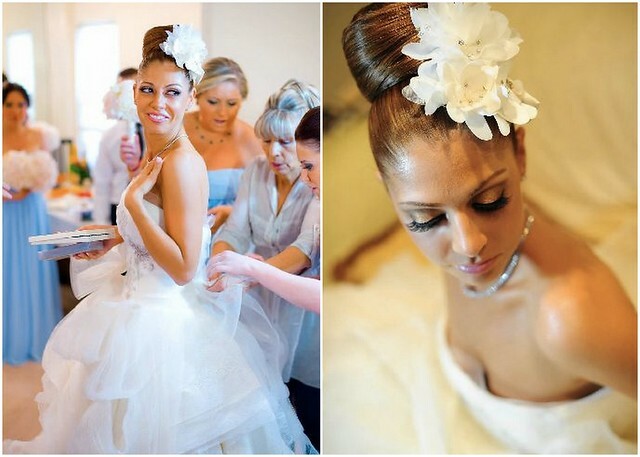 This entry was posted on Tuesday, February 12th, 2013 at 9:43 am	and is filed under A Wedding Story. You can follow any responses to this entry through the RSS 2.0 feed. You can skip to the end and leave a response. Pinging is currently not allowed.